Seizures can be scary and disorienting, but proper evaluation and treatment can help you gain better control and peace of mind. 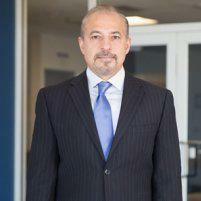 Dr. Ahmad Ata, a neurologist and neurophysiology specialist in Frisco, Texas, has two decades of experience caring for people with epilepsy and seizure disorders. His practice, NeuroCare of Texas, includes an in-house laboratory and MRI imaging center so you can get tested quickly and conveniently. If you suffer from epilepsy and want to take back control of your life, call Dr. Ata or schedule your consultation online today. Unpredictable and unprovoked seizures characterize epilepsy. A seizure occurs when there is an interruption to normal brain activity. There is a varying range of seizure types, and each epileptic patient has a different level of control. Some people can sense a seizure coming on, while others may not know they’re having a seizure until it’s over. Epilepsy can cause other health problems, making diagnosis and treatment essential. For some, epilepsy is genetic or occurs as a result of brain trauma. In most cases, the cause is unknown. What types of seizures are there? Generalized onset seizures occur at the same time in both sides of the brain. This category includes tonic-clonic, absence, and atonic seizures. Focal onset seizures begin in one area of the brain or one type of cell on one side. They include focal aware seizures -- formerly called simple partial seizures -- and focal onset impaired awareness seizures (formerly called complex partial seizures). In this type, the affected origin area of the brain is unknown. They occur at night during sleep or when someone lives alone and has no witness to describe the seizure. They can be reclassified with further testing. Epilepsy is diagnosed after two unprovoked seizures with no known cause, like trauma or alcohol withdrawal. Video-EEG monitoring is the diagnostic gold standard. The EEG transmitter cap is placed on your head while wall-mounted video cameras record your movements. Dr. Ata utilizes your data collected by the video-EEG, comparing your movements to your recorded brain activity to make a diagnosis. Dr. Ata provides all treatment options, including medications, devices, dietary therapy, and clinical trials. If you or a loved one suffers from epilepsy, call or schedule an appointment online today for help at NeuroCare of Texas.